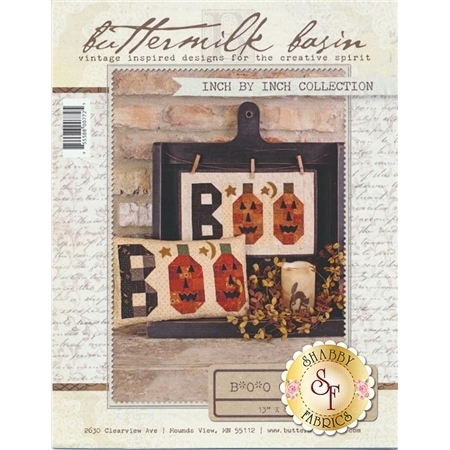 From Buttermilk Basin's Inch by Inch Collection comes the adorable BOO Pillow and Mini Quilt! Both projects measure 13" x 8" and would make a cute little accent piece for your home during Halloween. 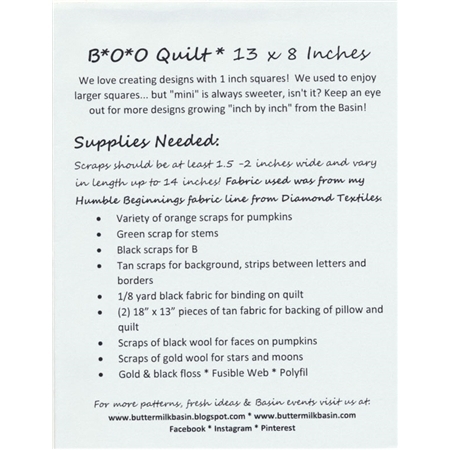 Pattern includes instructions and diagram to complete these projects.